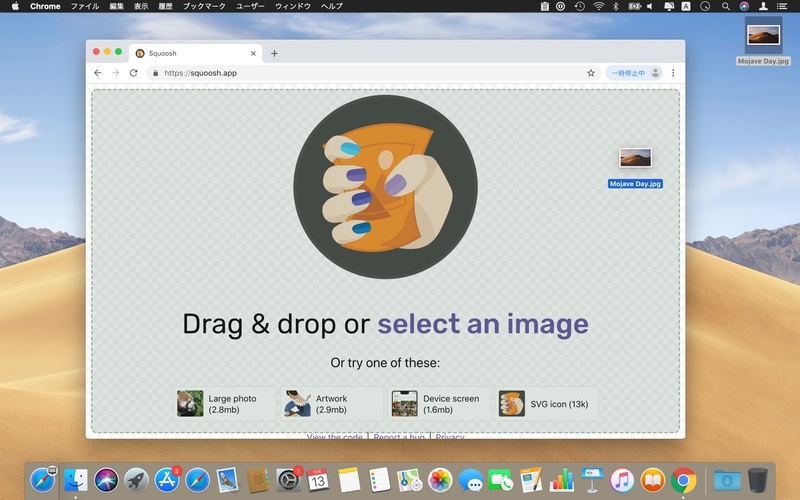 Google Chrome Labs、WebPにも対応したオープンソースの画像圧縮Webアプリ「Squoosh!」を公開。 | AAPL Ch.  https://t.co/sCMU33lR1G – make images smaller using best-in-class codecs, right in the browser. Before and after image size once an image is downloaded. These values are rounded to the nearest kilobyte. Image compression is handled locally; no additional data is sent to the server.